Clam worms (Alitta Succinea) are a species of marine annelid, also known as sandworms. Clam worms can be found in the Northwest Atlantic region, the Gulf of Maine and South Africa. A clam worm can grow up to 6 inches in length, but usually they are a bit smaller. An interesting feature of the clam worm is the fact that they have four eyes. 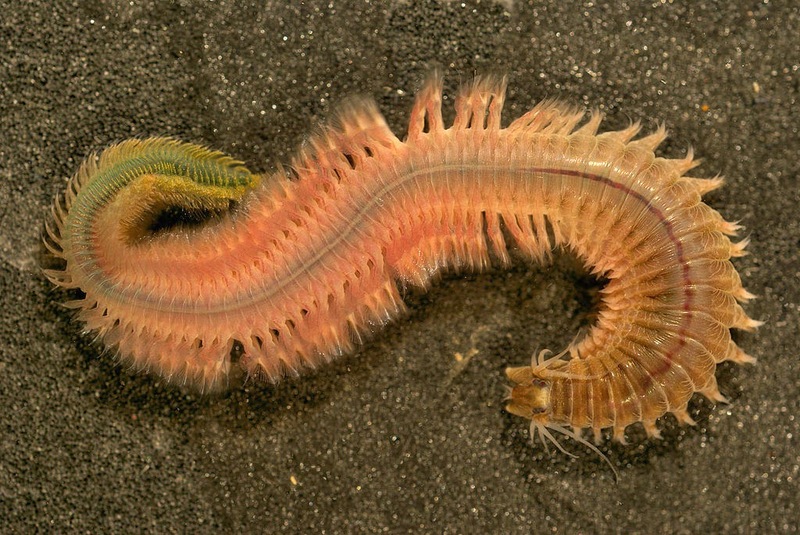 The clam worm is a freeswimming polychaete that scavenges on the bottom of shallow marine waters feeding on other worms and algae. The clam worm itself is a food source for crustaceans and bottom-feeder fish. 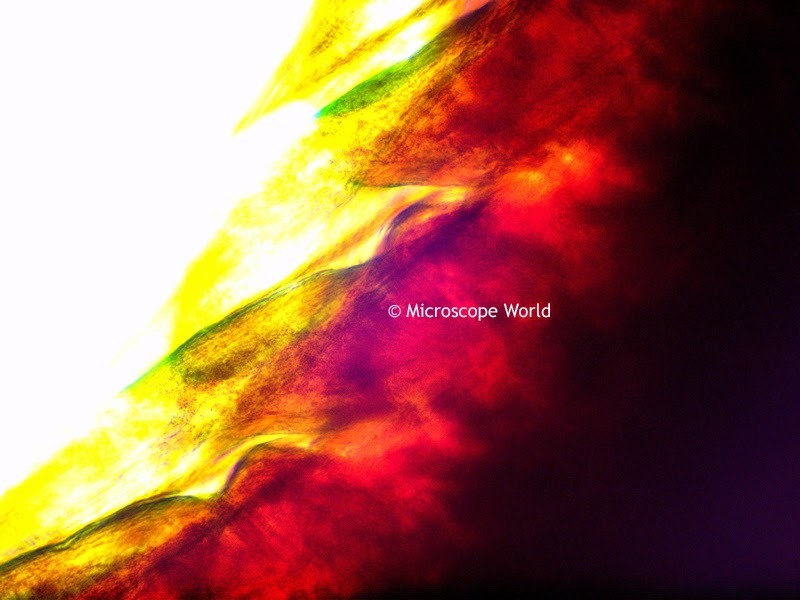 Clam worm prepared slide, captured at 40x magnification. 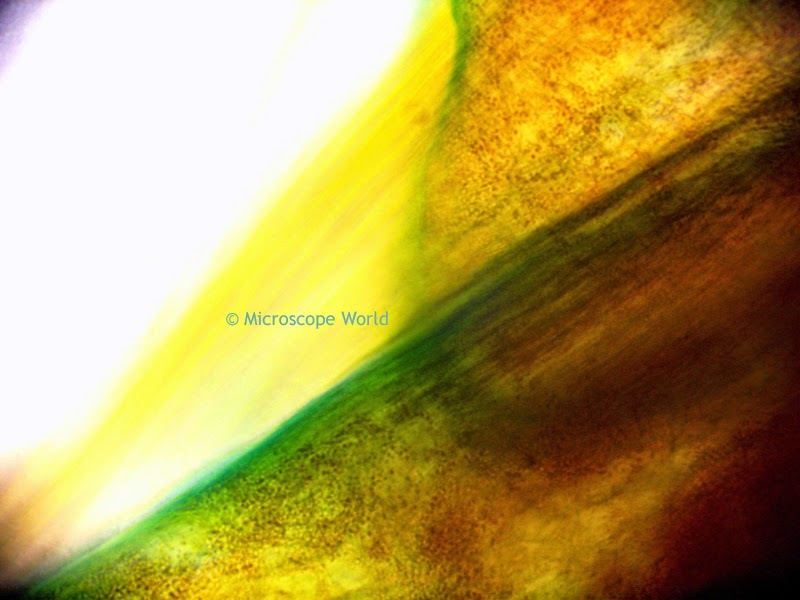 Clam worm captured under the microscope at 100x. Clam worm captured under microscope at 400x magnification. 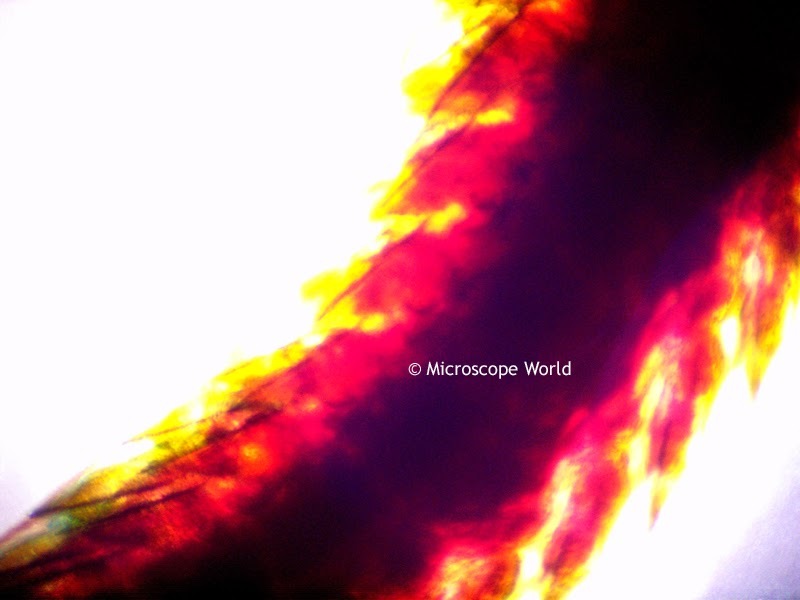 All images were capturing using the U2 biological microscope and the DCM5.1 microscope camera with 5 mega pixels.